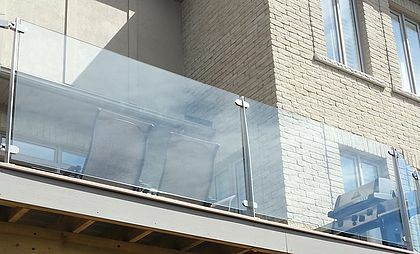 The Invisirail 38.5” x 67.865” glass railing panel is undoubtedly a leader in the market. Its height is 38.5 inches, while its width is 67.865 inches. It is 10mm in thickness. It will prove to be the best for anyone in search of glass railings toronto. It is the perfect covering for both indoor and outdoor spaces. When installed outdoors, it protects from the elements during the most unimaginable manner. Those living close to water bodies will find its wide length something to rejoice over, since it offers the desired protection and keep away the cold and the insect bites. When searching for glass railings toronto, never think of any other kind of glass railing aside this. Its construction is sturdy. It is therefore the perfect choice for your outdoor deck activities. Its 10mm thickness makes it able to stand against storms. Objects can hit it without leaving any scratch or breaking it. Installation is yet another feature that sets this glass railing apart from the crowd. Yes, it is very easy to install. Meaning that, you can have your glass railing up and ready in no time at all. Each unit is included with installation manual that is very easy to follow. Invisirail is made to last, thanks to the tempered nature of the glass panel. The production processing is not like any other thing you have seen around. Its top clips mount easily with the glass panel and makes it very appealing. Get the Invisirail 38.5″ x 67.865″ Glass Railing Panel (10mm) today. We are certain it will be a great addition to your home or office. Don’t wait; get the value and long term beauty you deserve!